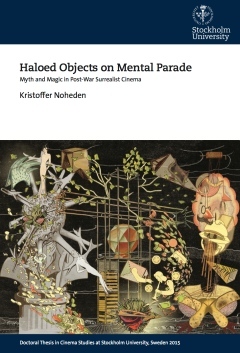 Lördagen den 19 september försvarade Kristoffer Noheden sin avhandling i Filmvetenskap, med titeln ”Haloed Objects on Mental Parade: Myth and Magic in Post-War Surrealist Cinema”. Avhandlingen undersöker efterkrigstidens surrealistiska film i förhållande till surrealismens fördjupade intresse för myt och magi. Following the end of World War II, the surrealist founder André Breton organized the exhibition Le Surréalisme en 1947. In conjunction with it, he announced a “change in direction” for surrealism, towards the search for a new myth, replete with magic. This dissertation examines post-war surrealist cinema in the light of these changing priorities. Earlier scholarship on surrealist cinema has predominantly focused on a few canonized films from the interwar period. Similarly, scholarship across the disciplines has tended to all but ignore surrealism’s continued existence and development after 1939. This dissertation draws on recent tendencies in interdisciplinary surrealism scholarship, in order to expand the perspectives on both surrealist cinema and the wider meaning and implications of the movement’s turn to myth and magic. It takes a broadly comparative, interdisciplinary, and intermedial approach, and situates surrealist cinema in the context of surrealist art, exhibitions, literature, and theoretical writings. The dissertation is organized into four case studies. 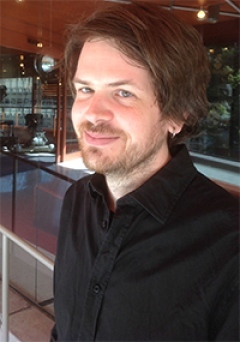 The first two of these treat films from the immediate post-war era, and comprise the Danish artist Wilhelm Freddie’s forays into filmmaking, and the French poet Benjamin Péret’s contribution to the 1953 documentary film L’Invention du monde. The remaining two case studies cover films from the late 1960s and onwards, and treat the Argentinean-born director Nelly Kaplan’s feature films, and the Czech artist and animator Jan Švankmajer’s short and feature films.